Where is Indoor Cycling Headed? Alan Sacharowitz, Co-founder & Director of Infinite Cycle explains. When considering a franchise, licence or a stand alone studio for your own fitness venture there are a few major things that you need to seriously consider. The biggest lesson that can be learned here is from the classic competition between Pizza Hut and Dominos Pizza. How often have you driven somewhere only to see both stores situated alongside each other. Obviously they are both successful, but each tries to provide the magic differentiator to win over the clients. Essentially they are offering the same product and service so competition becomes about price and the customer experience. This exact analogy is happenING in the fitness industry today. The success of Anytime Fitness quickly heralded the likes of Jetts Plus fitness and many more who recognised the opportunity and capitalised on it. F45 took things to another level with a model that was built on a low ‘cost of entry’ point for the licences and F45 quickly became one of the fastest growing fitness business in the industry. Fast forward and they are now huge but there are also many ‘look-alike’ franchises, offering a very similar product that is based on functional principals requiring trainers to correct form and keep that 1 to 10 ratio so no one gets an injury, which is unfortunately a high concern. Indoor cycling has had major success worldwide and Australia is no different, recently catching the global wave of excitement. As more and more people look to invest in a fitness model that is sustainable, the major consideration and concern is, if you do a good job nothing will stop someone coming in, listening to your playlist and opening up next door. Then you find yourself competing like Pizza Hut and Dominos, cutting margins and fighting for the limited market. 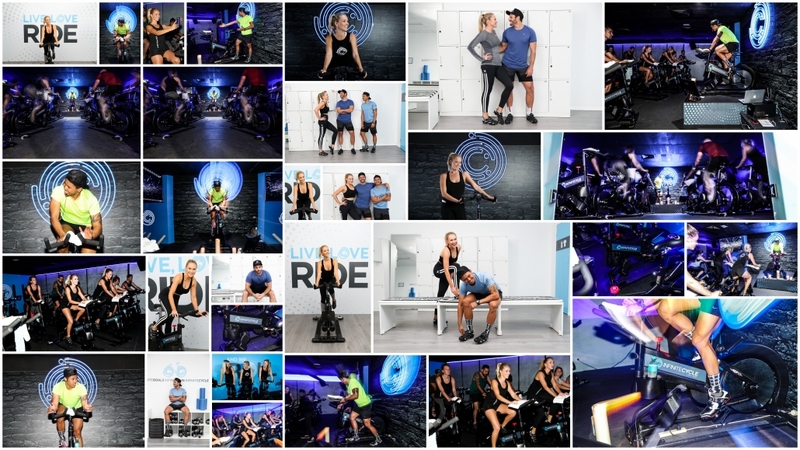 Infinite Cycle, a young indoor cycle innovator has recognised these challenges and has built their model from day 1 with the intention of creating more than just another ‘spin’ cycle class. They provide a unique ‘virtual reality’ experience, offering three totally different styles of classes, designed and developed to assist in weight loss, athletic performance and fitness and toning. Furthermore the classes provide a unique experience every time, while providing consistency, but allowing their experienced trainers to use their individuality and style to create a user experience second to none. 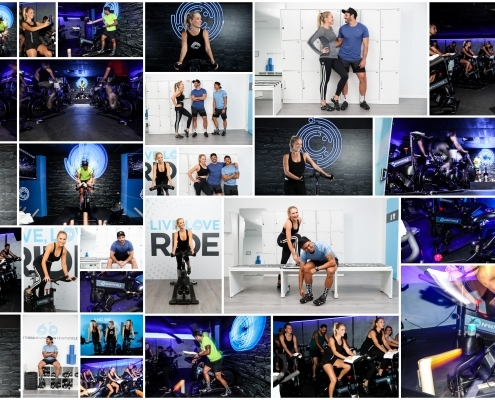 The extensive use of state of art technologies from around the world and indoor bikes that turn and lean, giving 20% calorie burn and a better overall workout, provides the cyclist a very unique experience. The member experience has been front of mind at every step to keep the users engaged prior, during and post class with trackable metrics on our the IC app (links to 3rd party apps such as STRAVA) that will report of calories burned, distance travelled, average watts and many more customisable fields. Developed to operate as a stand alone studio or a studio inside a gym in a pre existing space, Infinite Cycles with their unique movement of the bikes along with the amazing tech provide that magic ingredient to any good business, differentiation and uniqueness, which act as a draw card and provide an amazing customer experience. An Infinite Cycle studio can operate in as little as 160sqm, including reception and bathrooms. Alternatively, utilising partial space in an existing gym provides an amazing opportunity to build a strong supplementary revenue stream at low establishment and ongoing costs, while capitalising on an existing member base. A 100sqm area can hold up to 42 bikes which can be added to a membership or sold as ride packs with no existing rental cost as the space is already available and in many cases under-utilised. Every class model is pre-programmed and updated regularly, allowing instructors to be trained very quickly and ensuring they work within the proven model, keeping full control in the hands of the owner/operator. Every two weeks new programs and playlists are added to the already growing library and the training required on each is minimal. Every cue is on the screens for both the instructor and the participants to view. This also allows the studio to implement virtual classes down the line should demand be that high.